For many organizations, Self-Service Business Intelligence (BI) is emerging as a larger segment of the business intelligence and analytics environment. The extremely high interest in Power Pivot alone is an excellent indicator that Self-Service BI is growing. Gartner defines Self-Service BI as: “End users designing and deploying their own reports and analyses within an approved and supported architecture and tools portfolio.” This statement from Gartner implies a partnership between business units and IT which is sometimes referred to as “Managed” Self-Service BI. Although the business can go it alone, a strong collaboration with the technical teams can help to ensure systems can support the volume and variation of self-service query activity, monitor the quality and integrity of the data, and maintain data security. Typically Self-Service BI augments an existing Corporate BI environment for purposes such as small projects, prototyping, or infrequent analyses. Self-Service BI empowers a segment of business users, often referred to as power users, to become producers of information for others to consume. 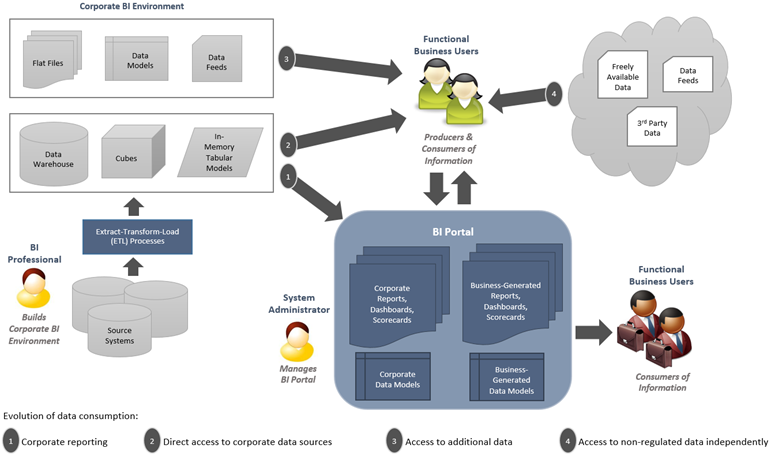 The following image is a simplified depiction of a consolidated structure which integrates Corporate BI and Self-Service BI into one managed BI Portal. One significant reason that Self-Service BI is becoming more prevalent is because the Corporate BI environment cannot always react fast enough to support the needs of business users. For instance, even a small new request might involve changes to table structure, data load process, cube or semantic layer, and reports, all of which typically require a testing cycle and formal change management process before it can be promoted to the production Corporate BI environment. If the new request is related to a one-time analysis, such as whether to open a new store or extend store hours, it may be far more practical and time-effective for the business to act independently. If the result is required almost immediately, then the business may have virtually no choice but to conduct the analysis independently. Another big factor driving Self-Service BI growth is that IT is often lacking in-depth knowledge of the data and subject areas. It is a bit of a fine art to gather BI requirements which result in a high level of accuracy with few iterations. The business users who possess domain knowledge and technical aptitude will be well-equipped going forward in this new era. An additional factor is the ever-increasing variety of data sources. When business users become accustomed to data-driven decision-making, they become eager for more and more types of data which leads to consumption of data outside the Corporate BI environment. 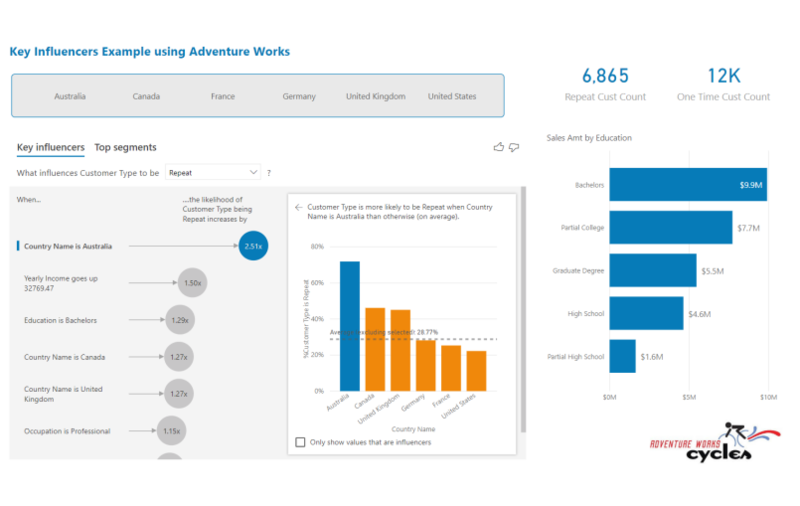 Newer tools such as Power Query are making it easier and easier for business users to find and work with data sources from outside the organization. 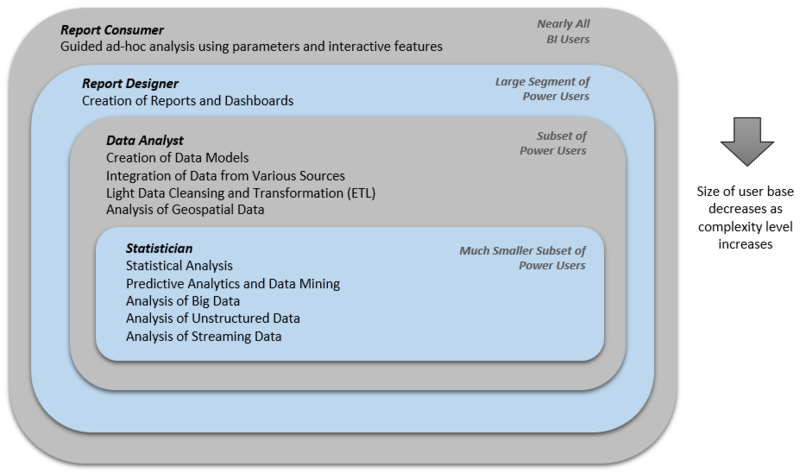 The role of power users in a Self-Service BI initiative can mean many things. Power users are often the first to adopt new functionality, sometimes even before the corporate IT department is prepared to support it. Power users can be an invaluable source of domain knowledge. They can also be great advocates for BI tools and techniques, which can translate to a big impact on user adoption and satisfaction. In some organizations, power users act as the first line of support for business users in their functional area. Within IT, we sometimes refer to Self-Service BI users generally as power users. However, in reality there can be extremely different functions performed by one power user versus another. Although it is difficult to define roles precisely, the following image offers one way to categorize the types of Self-Service BI users. As the image above shows, not all power users have equivalent needs. There are different categories of Self-Service BI users because needs and technical capabilities vary considerably. The level of interest business users have in working directly with the data varies wildly – it’s not that they are incapable of working with things like data models, calculations, and relationships – it’s that many functional users don’t have an interest or natural aptitude. Some information workers really just want to create reports and dashboards and analytical models using readily available data. A smaller group of power users prefers to work directly with the raw data, including integration from various sources. A typical example of data integration is to merge corporate sales data with external data such as economic data, demographics data, weather conditions data, or industry measurements purchased from a third party. A further subset of power users may expand on that a bit further with some level of light ETL (Extract>Transform>Load) processes to manipulate, cleanse, and/or alter the data structures. 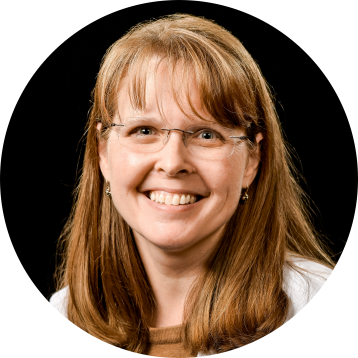 Finally, there are very proficient and technically adept power users who handle complex analytics, data mining, and/or the exploration of big data. 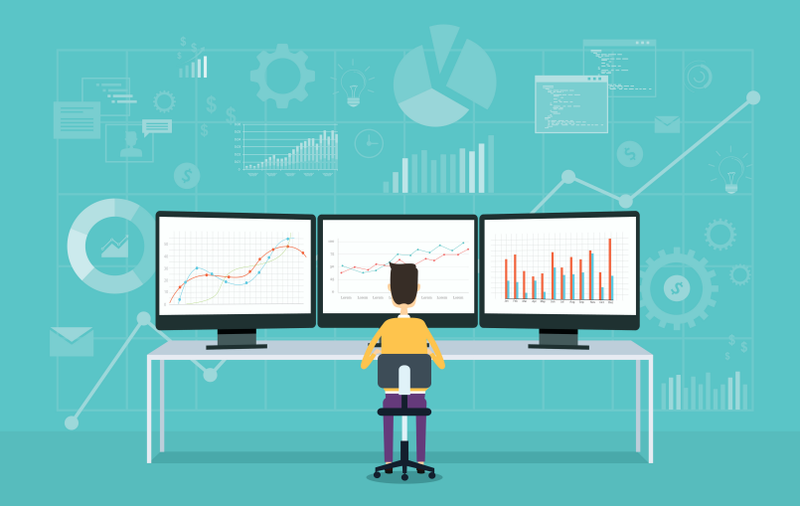 Whether Self-Service BI is a specific organizational initiative, or more of a grassroots evolution, it's likely to continue gaining a presence in many organizations. There are a great many Self-Service BI capabilities available in Office, Office 365, SQL Server, and SharePoint that your organization may be able to incorporate in order to support the varying needs, abilities, and preferences of power users. The next article will introduce specific Microsoft BI capabilities for creation of reports and dashboards, data models, data integration and cleansing, statistical analysis, predictive analytics, as well as analysis of geospatial, unstructured, and streaming data.